This unique table topper will have you spinning. Almost pinwheel-like in shape and effect. 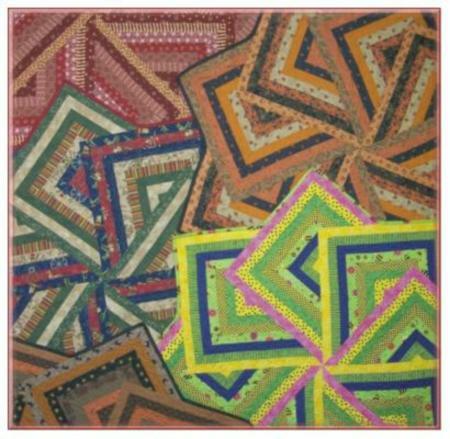 It's created from strip-piecing 8 fabrics together, from light to dark, then cutting them into large and small triangles and sewing them into partial, overlapping squares. 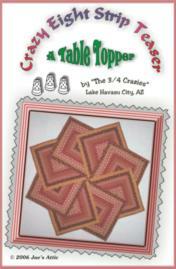 The pattern has great instruction, telling you step by step how to sew this great table topper together. Message: Love it. Made several! Message: The pattern is very well written. Follow it from start to finish and you will have no problem! 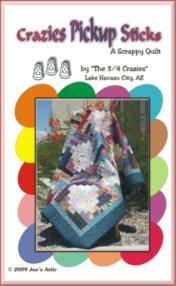 Now I'm just wondering how to quilt it? Any suggestions? 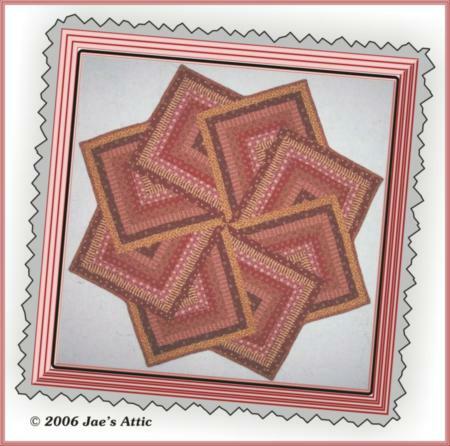 "crazy eight strip teaser quilt"